One Glossy ibis was at the Shannon Airport Lagoon (John N Murphy), along with one Curlew Sandpiper, 200 Dunlin, two Ruff, 36 Little Egrets, 3,000 Black-tailed Godwits, 20 Knot, 200 Redshank, five Water Rail, 30 Wigeon and four Gadwall. One Balearic, one Sooty Shearwaters, three Storm Petrels, one Bonxie, one dark phased Arctic Skua, two Arctic Terns, seven Common Scoter and one Puffin were at the Bridges of Ross. 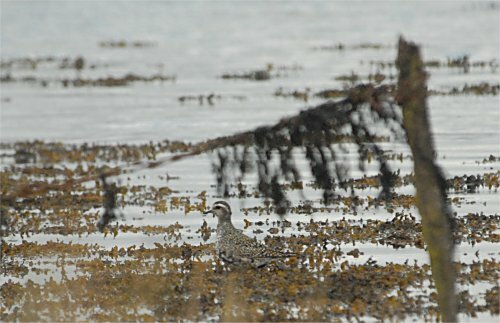 The American Golden Plover was at Moyasta this morning (Andy Clifton, Steve Web, John N Murphy, Brian Finnegan et al). 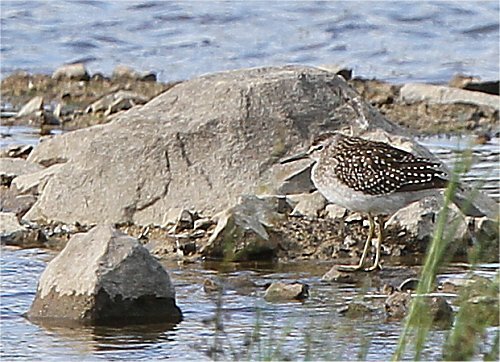 Two Wood Sandpipers were at Shannon Airport Lagoon. 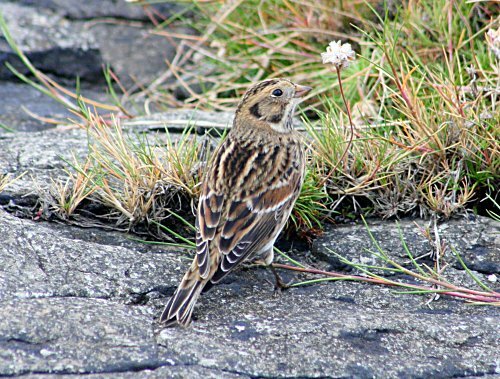 There were 22 Lapland Buntings at Loop Head Peninsula, 14 of which were on the Fodry, seven at the Bridges and one at the tip of the headland. At the Bridges of Ross there were three Bonxies, one Arctic Skua, one Sooty Shearwater, five Common Scoter, one Black Guillemot, and one Arctic Tern. One dark phased Arctic Skua was seen chasing amogs’t a flock of 300 Manx Shearwaters off Loop Head. Also on the headland there were 12 Wheatears, four Chough, five Raven and six Golden Plover. 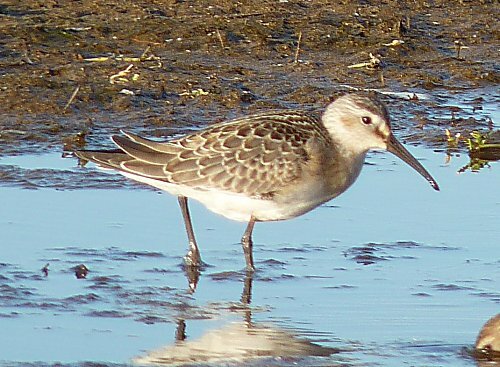 One Curlew Sandpiper, four Knot, and four little egrets and a Peregrine were at lough Donnell. One Green Sandpiper was at Ballycorrick Bridge. 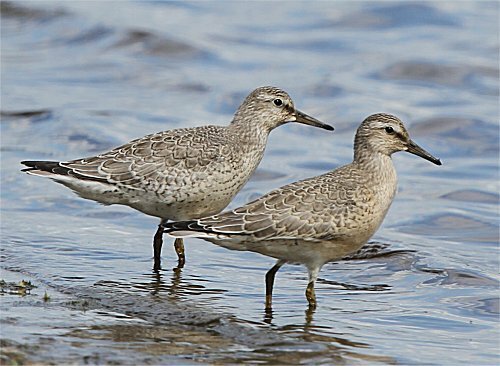 Three Common Sandpipers and a Whimbrel were at Islandavanna, Clarecastle. One Ruff and two Kingfishers were at Doonbeg. Two Glossy Ibises were back at the Shannon Airport Lagoon today (John N Murphy & Geoff Hunt). Also at the Lagoon were three Ruff, 16 Little Egrets, five Water Rails and over 3,000 Black-tailed Godwits on the mudflats with 30 Knot and 400 Redshank. Four Lapland Buntings were seen near the Bridges of Ross. At the Bridges of Ross there were five Balearic Shearwaters, two Leach’s Petrels, one Storm Petrel, 26 Arctic Skuas, 14 Bonxie, two Grey Phalaropes, 14 Arctic Terns, one Black Guillemot, two Common Scoter, two Puffins, 12 Teal, one Minke Whale and a Leather-backed Turtle. 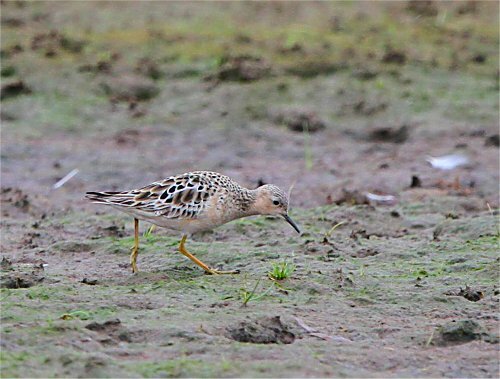 Two Ruff were at Lough Atedaun. One Common Sandpiper and a Little Egret were at the Lough, Doonbeg. 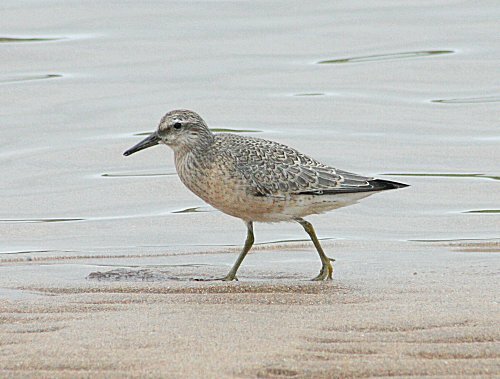 One juvenile Knot was a good inland record at Mullaghmore, the Burren. 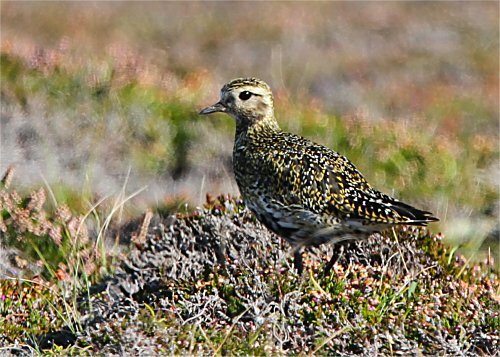 The American Golden Plover was at Moyasta Creek (James Hayes, Clodagh Glasgow and Finbarr MacGabhann). At the Bridges of Ross today the seawatch produced two Sabine’s Gulls, three Balearic Shearwaters, two Sooty Shearwaters, on 3rd cal Pomarine Skua, six Arctic Skuas, four Bonxies, 18 Arctic Terns, a juvenile Little Gull, two Puffins, one Grey Phalarope, three Common Scoter, one Great Northern Diver, one Red-throated Diver and one Merlin. 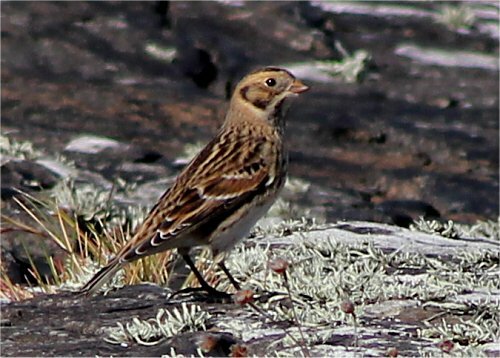 There were seven Lapland Buntings on the headland at Loop Head, while three were still at the Bridges of Ross. Two Glossy Ibises were at the Shannon Airport Lagoon this evening (John N Murphy, Gerry Butler & Tony Mee). Also at the Lagoon were 26 Little Egrets, ten Water Rail, one Ruff, 1,400 Black-tailed Godwits, five Wigeon, ten Shoveler, four Gadwall and a female Hen Harrier. Lapland Bunting near the Bridges of Ross © James Hayes. 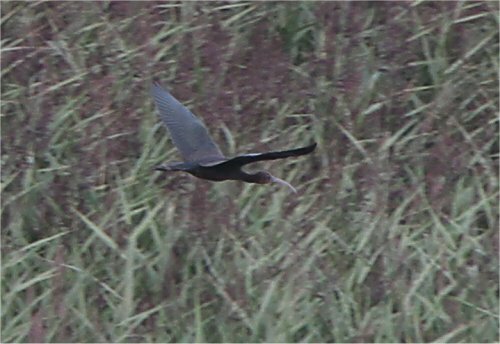 A Glossy Ibis was at the Shannon Airport Lagoon this afternoon (John N Murphy & Brian Finnegan). Also at the Lagoon was the Spoonbill, 20 Ruff, 3,000 Black-tailed Godwits, 24 Knot, 22 Little Egrets and four Water Rails. 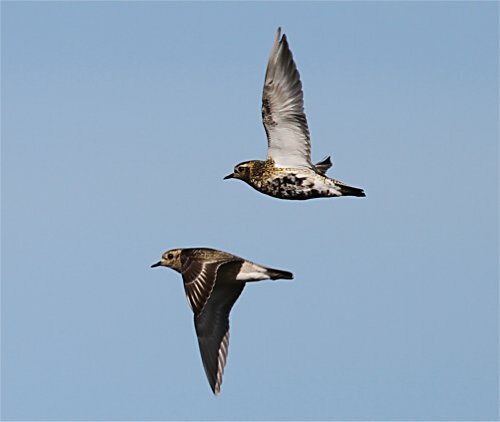 The adult American Golden Plover was showing well at Moyasta Creek (Mark Sutton et al). Four Lapland Buntings were west of the Bridges of Ross today, but there was little seabird migration with only one Sooty Shearwater, one pale phased Arctic Skua, one Bonxie and two Common Scoters. Two White Wagtails were in Kilbaha, with 19 Chough on the headland. There were three White Wagtails at Kilcredaun Marsh. The American Golden Plover was still at Moyasta today (John N Murphy, Brian Finnegan, Niall & Noel T Keogh), along with one Kingfisher. one Arctic Skua, one Bonxie and a light passage of Manx Shearwaters. One Ruff was at Lough Atedaun, while two Kingfishers were at Lough Inchiquin. One Knot at Mullaghmore, the Burren was a good inland record. 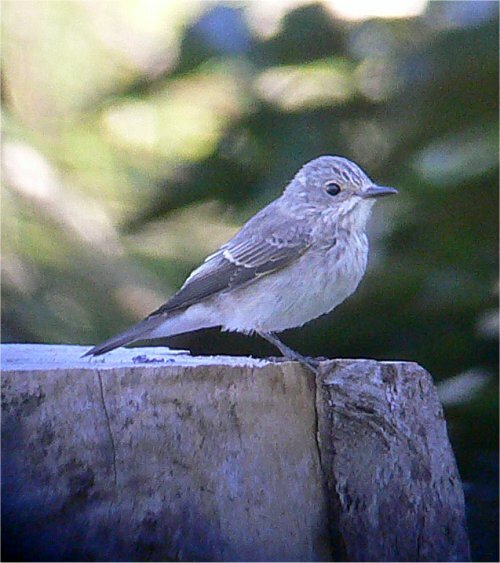 Spotted Flycatchers are still feeding young at a garden in Clarecastle. The American Golden Plover was back at Moyasta this evening (Ian Boustead et al), along with one Green Sandpiper. 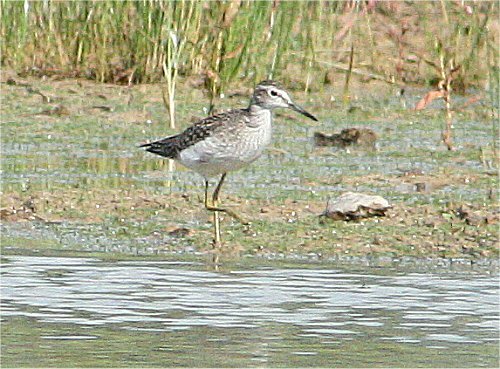 One Wood Sandpiper and a Green Sandpiper were at Claureen River attenuation pond. 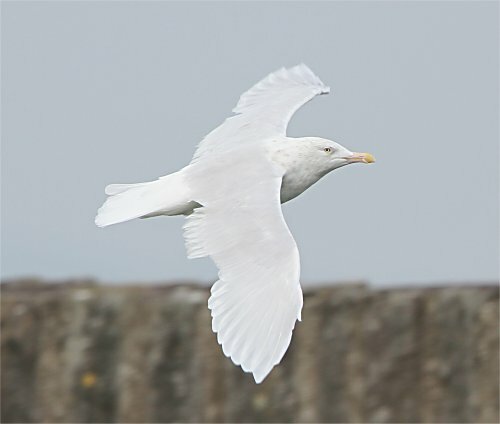 The sub-adult Glaucous Gull was at Cappagh Kilrush. A dark-phased Arctic Skua was at the Flaggy Shore today. 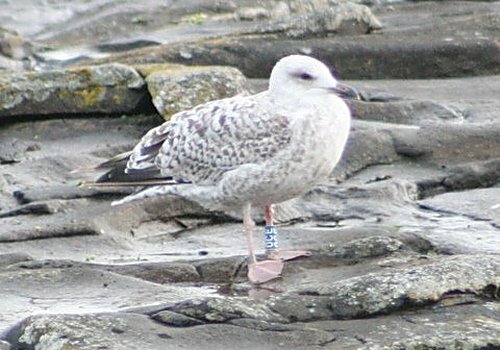 Five Arctic Skuas, seven Bonxies and a Blue Fulmar were at the Bridges of Ross. Two Common Sandpipers were at the Lough, Doonbeg. One Common Sandpioer, one White Wagtail and two Knot were at Lough Donnell. One Kingfisher and a White Wagtail were at the Skivileen River, Doonbeg. A Fea’s (Soft-plumaged) Petrel just flew past the Bridges of Ross (Ian Boustead et al) (9.00), also at the Bridges this morning were one Wilson’s Storm Petel (Tom Tarpey), four Sabine’s Gulls and two Leach’s Petrels, six Sooty Shearwaters, six Great Skuas, six Arctic Skuas, three Puffins, 41 Arctic Terns, ten Storm Petrels and two Ruff were in Kilbaha. 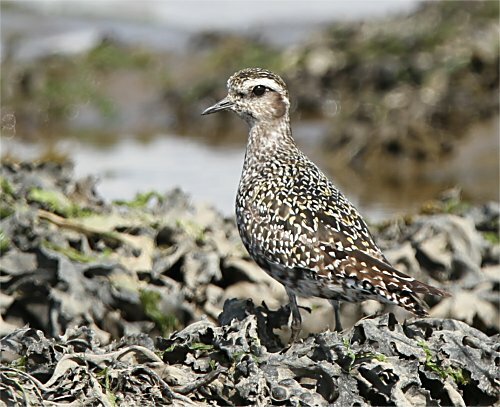 An adult summer American Golden Plover was seen from the railway bridge at Moyasta this afternoon (Robert Vaughan & Conor Foley). 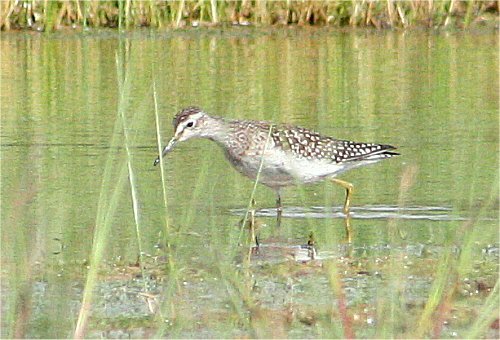 One Wood Sandpiper remained at the Claureen River attenuation ponds Ennis this afternoon. A juvenile Spotted Redshank, five Ruff and 27 Little Egrets, four Water Rails , one female Hen Harrier and 1,500 Black-tailed Godwits were at the Shannon Airport Lagoon. At the Bridges of Ross today there was one adult Sabine’s Gull, three Pomarine Skua, 13 Arctic Skuas, 14 Bonxies, five Balearic Shearwaters, 16 Sooty Shearwaters , seven Grey Phalaropes, four Storm Petrels, one Blue Fulmar, 30 Arctic Terns, 12 Sandwich Terns, five Puffins, one Common Scoter, 12 Black-tailed Godwits and 14 Brent Geese. One juvenile Long-tailed Skua was at the Bridges of Ross (Finbarr MacGabhann, John N Murphy et al). Also at the Bridges were two adult Sabine’s Gulls, one Black Tern, eight Arctic Terns, seven Balearic Shearwaters, 15 Sooty Shearwaters, 17 Storm Petrels one Leach’s Petrel, three Pomarine Skuas, 10 Arctic Skuas, three Bonxies ,14 Common Scoter, one Grey Phalarope and good passage of wading birds. One sub adult Glaucous Gull was at Cappa Pier, Kilrush. 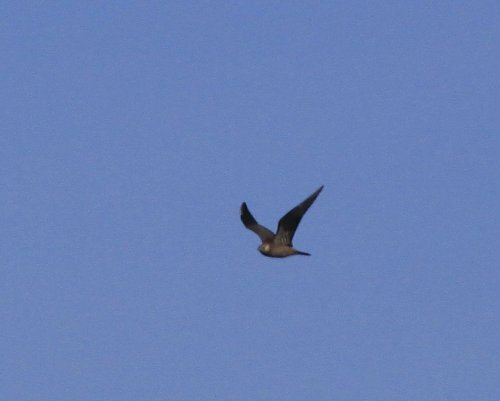 One adult and one juvenile Long-tailed Skuas were at the Bridges of Ross (Alan Clewes, Geoff Hunt et al). Also at the Bridges there was one adult Sabine’s Gull, two Great Shearwaters , two Balearic Shearwaters, over 30 Sooty Shearwaters, three Bonxies, one Arctic Skua, one Pomarine Skua and six Storm Petrels. 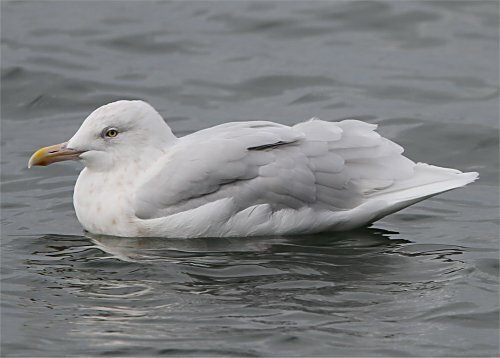 One sub-adult Glaucous Gull was at Kilrush. 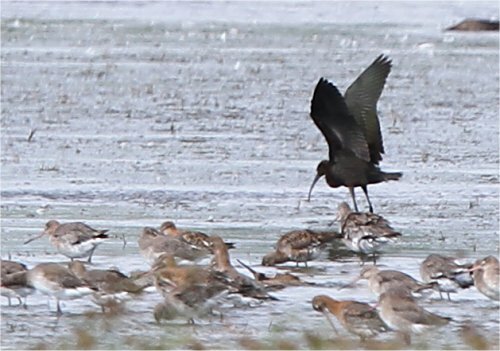 Over 1,000 Black-tailed Godwits and one Ruff were at the Shannon Airport Lagoon. two Balearic Shearwaters and 12 Sooty Shearwaters so far (10 am). a handfull of Sooty Shearwaters and one Pomarine Skua. along with 1,000 Black-tailed Godwit. 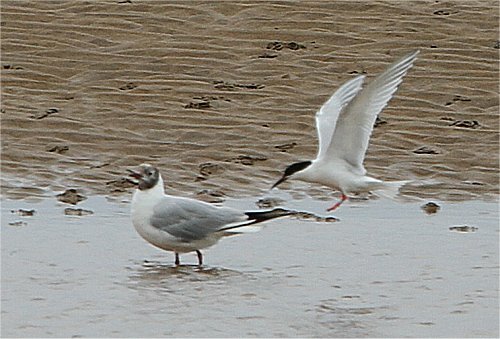 One first year Mediterranean Gull and a Green Sandpiper were at Ballycorrick Bridge, Ballynacally. ten Arctic Terns, 16 Sanderling, five Whimbrel, one Merlin, three Sun Fish and one Basking Shark. 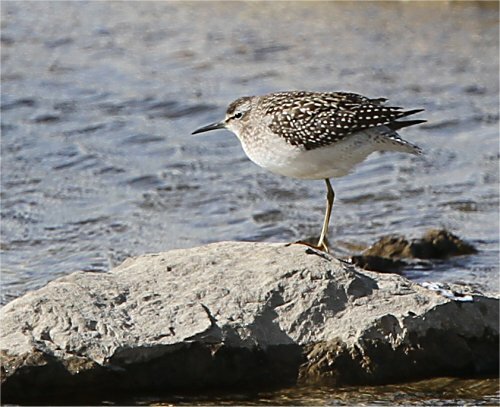 The Buff-breasted Sandpiper was still at Lough Donnell this morning (Brian Finnegan & Austin Cooney). 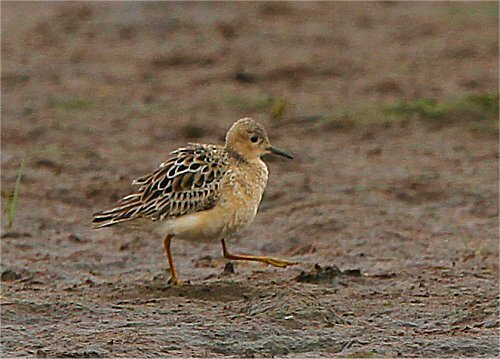 Also at Lough Donnell were two Ruff. A dark phased Buzzard was seen hunting near the Claureen River Attenuation pond this evening. Also at Lough Donnell were two Ruff, two Knot and 60 Snipe. 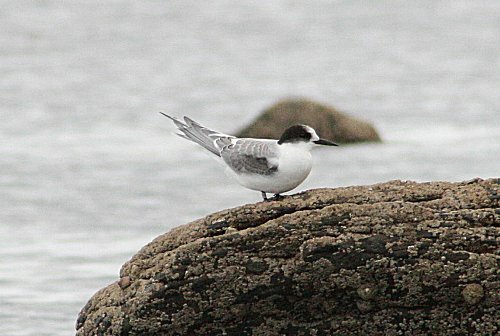 One adult Roseate Tern was at the mouth of the Skivileen River near Doughmore. 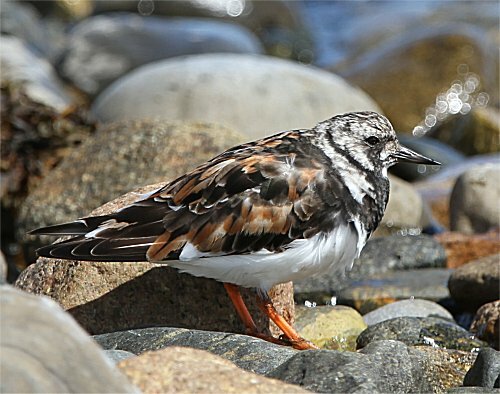 Two Common Sandpipers were at Doonbeg Lough. One juvenile Little Gull was at Killimer. 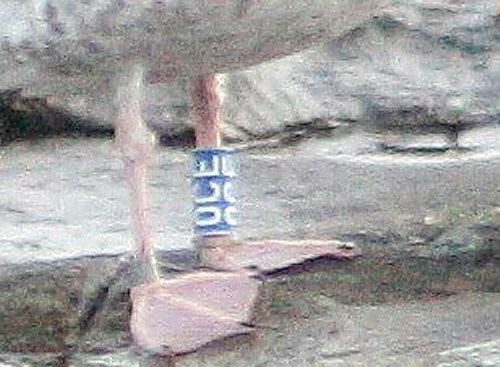 along with three Bar-tailed Godwits. Three Little Egrets were at Poulnasherry Bay along with a colour banded Curlew. 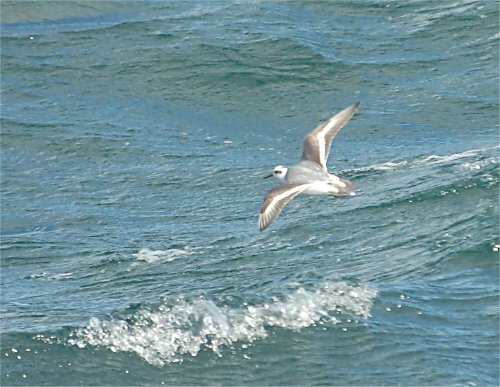 One Balearic Shearwatwater was off the Bridges of Ross. 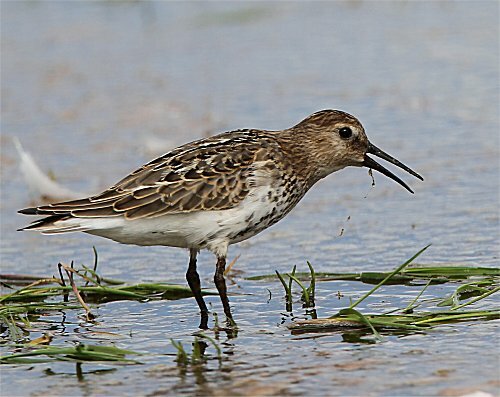 One Buff-breasted Sandpiper was at Lough Donnell this evening (Paul Troake). Also at Lough Donnell were two Ruff, 53 Snipe and over 1,000 Swallows. 3,000 Manx Shearwaters and six Storm Petrels. One Bonxie and 22 Chough were at Kilkee. south towards Limerick. Also in the Lagoon were 200 Sandmartins and over 80 House Martins. On the mudflats there were 1,200 Black-tailed Godwits and 80 Curlew. Six Little Egrets were near Saints Island near Bunratty. The Whooper Swan is still at Kilkee Reservoir. There were two Little Egrets and 32 Greenshank at Ballynacally Creek. One Little Egret was at Ballycorrick Bridge. One Little Egret was at Islandavanna. A flock of 500 Sand Martins and 12 Arctic Terns were at Fenloe Lake. There were 15 Arctic Terns, 22 Sandwich Terns and four Greenshank at Clahane, Liscannor. with one Sooty Shearwater, one blue Fulmar, one Bonxie, one Puffin and eight Arctic terns. The SPOONBILL was back at the Shannon Airport Lagoon along with seven Little Egrets. Ten Little Egrets and 18 Greenshank were at Poulnasherry Bay. one Great Skua, five Arctic Skuas and one Red-throated Diver. the Bridges of Ross and Fodry Point with three Balearic Shearwaters within them. Egrets, 160 Redshank and one Water Rail at the Shannon Airport Lagoon. one Arctic Skua, one Storm Petrel, one Common Scoter, six Puffins and 33 Arctic Terns. 1,500 Black-tailed Godwits, two Shoveler and two Gadwall. One first year Mediterranean Gull was on the beach near Doonbeg. Two Little Egrets were at Moyasta. One Little Egret was seen flying overland near Dromoland Castle. There were seven Raven and five Chough on the Clif walk at Kilkee. There were two Common Sandpipers at Ballycorrick Bridge. One Wilson’s Storm Petrel was at the Bridges of Ross. One female Hen Harrier was on Scattery Island. There were two Balearic Shearwaters and one Bonxie at the Bridges of Ross. One Great Skua was at the Bridges of Ross along with four Chough. One male Hen Harrier was in Kilbaha. 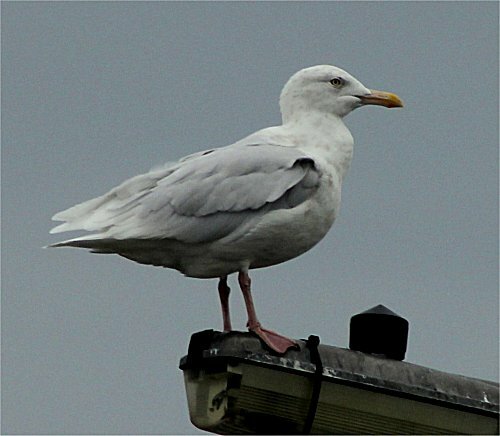 The Glaucous Gull was back at Kilrush Marina. One Kingfisher and four Common Sandpipers were at Islandavanna. 36 Arctic Terns, five Puffins, 12 Dunlin and two Chough. 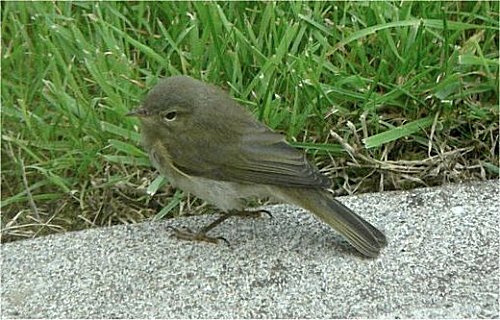 There was two Little Egrest at Corronroo Bay. Three Raven were near Lough Bunny.